Oh, boy. 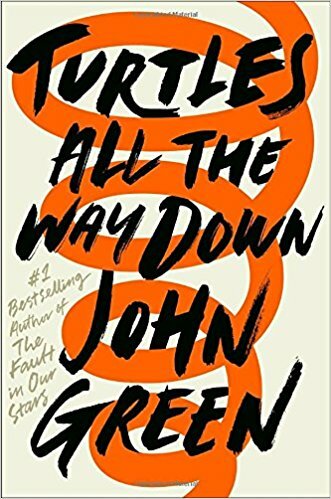 John Green’s Turtles All the Way Down was the first fiction book I’ve read about OCD, and it didn’t disappoint. It did, however, take me a month to finish—and not because it was too long or because the story dragged, but because it was a little painful to read such a perfectly rendered description of what it’s like to have unwanted thoughts on a loop. It was upsetting and triggering but beautiful, too. Once it reached the climax about three-fourths through I put the book down and couldn’t bring myself to pick it up for another two weeks. A co-worker who’d finished it told me it would all be okay, and that I had to finish it. Of course I did! Not only did I need to know what happened to our heroine Aza, I’d been planning on writing this review. Just a note to all of you who are currently struggling or who relate to Aza’s contamination obsessions, you may not be ready for this book yet. However, you may find that you feel less alone because you can identify with the character. As I read I mentally noted a bazillion lines I wanted to write about here, but since Turtles All the Way Down is fiction, I want to make sure I don’t spoil anything! So I’ll keep it relatively light and say this: If you’ve ever felt like a burden to your friends, wished your parents would stop asking if you’re okay, thought you didn’t really need your medication, or had a hard time dating and getting intimate, this book will speak to you. Plus, it’s not all about OCD; there’s an intriguing mystery and some romance! But you give your thoughts too much power, Aza. Thoughts are only thoughts. They are not you. You do belong to yourself, even when your thoughts don’t. Those of us with OCD so often tell others how debilitating the disorder can be, trying to make people understand that it’s not a joke and that we don’t all love cleaning. John Green captures what it can mean to live with OCD, how your intrusive thoughts can eat away at you, threaten to destroy you—but somehow you get up the next morning and go about your day. Turtles All the Way Down could go a long way toward helping people understand that, yes, maybe someone with OCD can get out of bed, go to work, and keep one’s life in some semblance of order, but that doesn’t mean OCD shouldn’t be taken seriously. 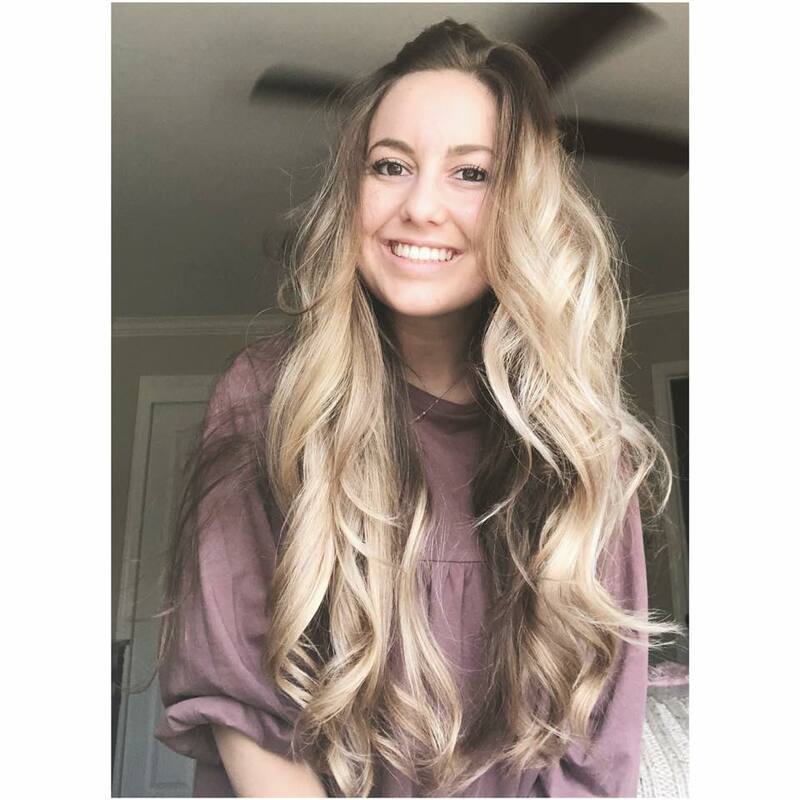 Welcome Kate Stiffler! Kate, a mother of five kids, has found yoga to be tremendously helpful in dealing with her OCD. 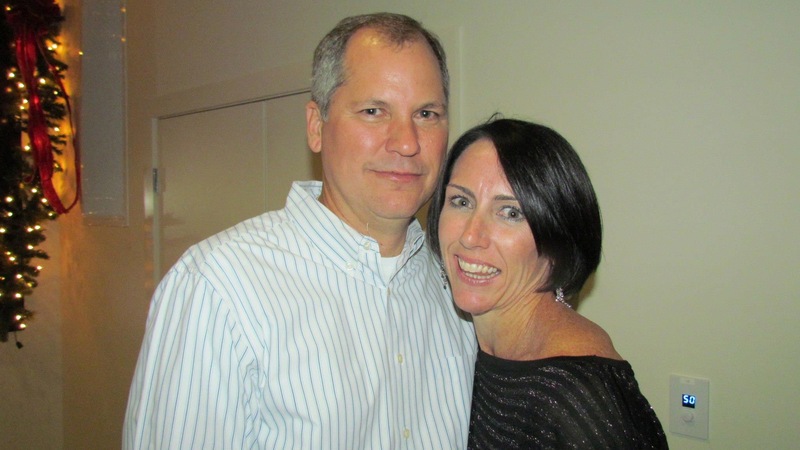 After years of struggling and mostly keeping her diagnosis to herself, Kate is ready to share her story. I couldn’t be more pleased to help her spread the word of hope and recovery. Thank you for being here, Kate! When were you diagnosed with OCD, and how long did you have symptoms before that diagnosis? OCD is still misunderstood, and oftentimes people with OCD say they were surprised by their diagnosis because they thought it was all about excessive washing or checking, behaviors they never engaged in themselves. What made you think you might have OCD? I realized I had OCD when the obsessions/intrusions kept recurring over and over again no matter how much I tried to ignore or outthink them. I remember sitting in my bed crying in my pillow because they just did not make sense yet I could not stop them from entering my mind. The doubts, the “what if’s” they just intruded on every aspect of my life. The earlier years of my OCD were marked with clear compulsions such as washing my hands until they bled and taking showers that lasted for at least an hour. Over the years, the compulsions shifted to more internal neutralizing of the thoughts and checking behaviors. Once you knew what was actually going on, did you tell loved ones right away? How did you decide who to tell, and how to tell them? I really kept my OCD to myself for most of my early adulthood. My college years and graduate school years were years that I really did not know what was going on. I simply thought the OCD was a character flaw of mine and that I really was the terrible person the OCD made myself out to be. These years were marked with great sadness, confusion and isolation. It was not until years later that I sought formal help for my OCD. I entered many various forms of therapy from outpatient to inpatient at McLean. To this day there are only a few people who really know what is going on with my disorder, primarily my husband along with all the therapists I have encountered along the way. You own a yoga studio, and practicing yoga has been an important component in the recovery process. What is it about yoga that makes it so beneficial for our mental health in general, and OCD specifically? Yoga saves lives. Yoga saved my life. I found yoga as a result of one of my earlier therapists recommending that I try it. I had no idea what yoga was and had never taken a class before. After researching my city for yoga studios, I landed in a Hot Yoga class. From the moment I stepped on the yoga mat my life changed. Yoga was a place I felt at peace. Yoga was a place I could go inside of myself. Yoga was a time I could reflect on my life and begin to declutter from useless garbage that kept me weighted down physically, emotionally, and spiritually. Yoga was a release for me. It allowed me to take time to myself to create space and just be. The daily practice of yoga allowed me evolve as a human being and begin to separate myself from my thoughts. As you know, with OCD this can be a huge help in the process of recovery. Yoga also taught me how to be more comfortable in the uncomfortable. It trained me to stay in situations and work through them rather than running away from them. These tools have been invaluable to me as a person living with OCD. Katie, I can’t even touch my toes, so I feel anxious about taking a yoga class. How can I ease into it and experience the benefits? Just show up! This is what I tell everyone who says the same thing. Yoga is not about looking perfect or even touching your toes. Yoga is SO much more than that! The first thing I would say to someone like you is just meet yourself where you are right now. Talk to qualified instructors and let them guide you into the class that would work best for you. There are many different kinds of yoga. Make sure you are educated on the different styles of yoga and what they entail and then choose which one resonates with your goals. Everyone can do yoga! That is the beautiful thing about it. There is something for everyone! What else has helped you deal with OCD? Have you tried anything you wouldn’t do again, or something you were surprised to find therapeutic? I would say that connecting with others who have OCD has been most helpful for me. It wasn’t until fairly recently that I really started to understand that no one can do the work for you. It is up to you to be your own cheerleader and advocate. I have begun networking with other advocates in the OCD community to help spread awareness and share my story in hopes of helping others realize we are all in this together. Support and education are really important tools in getting the disorder under control. There is not really anything I wouldn’t do again. I have to say however that I do not like ERP. I found that it made my anxiety spike doing the exposures and I had a really hard time understanding the role of ERP. My brain could not understand for a really long time why I would want to do something that I am scared to death of. My brain wanted to run far away from the fears not towards them. I had a hard time separating the process with myself. In my mind, I felt like if I did the exposures it meant that I either wanted to really do the bad thing or I was the bad thing. I had a really hard time separating them. I wish I had been more educated on the ERP process from the get-go and taught that these things are very common misconceptions that others also experience. I think if I was told this early on, it would have saved me a lot of time that I spent trying to figure it out on my own over the course of many more years. I have found writing to be very therapeutic for my OCD recovery. Sharing my thoughts with others, recognizing that I am not alone has been very meaningful for me. You are going to be OK! Trust yourself. Love yourself. Be yourself. There is no one out there like you. Talk to other people who have OCD. You are not alone. OCD is manageable and you can live a very happy and successful life with OCD. There are going to be good days and not so good days. Don’t give up. Keep remembering its up to you what you want to do with your life. You can gain control over the OCD. Support and education go a very long way in recovery. Don’t be ashamed of yourself. Be proud of yourself and all your efforts. Reach out to others like me and Alison who are here to help support you and cheer you on when you feel you cannot do it for yourself. You are a gift to this world. Never forget that you matter! Happy Tuesday! 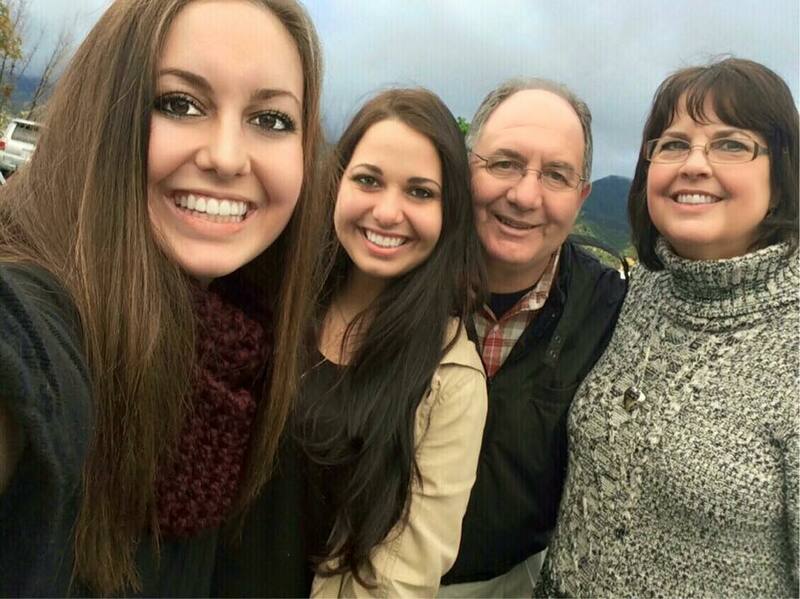 Please help me welcome Nathalie Maragoni! Not only is Nathalie an amazing advocate working hard to spread awareness of OCD, she’s also in school so she can become an OCD therapist. This is such important work, and we all know how hard it can be to find a properly trained therapist, so thank you, Nathalie! When she sent me the answers to my questions, she apologized for how long they are. She said, “My professors make fun of me for writing so much.” But look at these answers! See how well organized they are? And insightful? Nathalie, I know I’m giving you reassurance right now, but you’re just going to have to accept it this time. 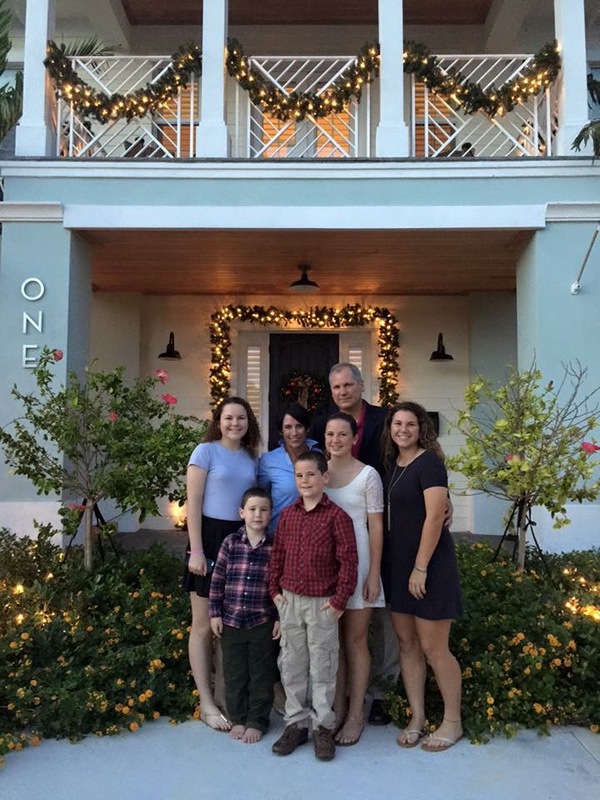 Read on for Nathalie’s personal experience with OCD, her advice for teachers and parents, and her words of wisdom for those of us who struggle with OCD ourselves. When were you diagnosed with OCD? How did you realize you needed help, and know where to turn? I was officially diagnosed when I was 11, but my parents first started to notice symptoms when I was just four years old. I learned about germs in preschool, and became terrified of them. My teacher told my mom that I was constantly asking if I could go wash my hands. That was the first sign that something seemed off. At six years old, I was holding my mom’s hand as we were crossing the street. All of a sudden, I wriggled free of my mom’s grasp, only to go all the way back across the street and re-cross it without stepping on any cracks or lines. My mom says I “walked in a serpentine pattern.” My mom, who suspected I had OCD, took me to a therapist. The therapist told her that it was likely that I did have OCD, but she didn’t want to put the diagnosis on me at such a young age. Age 11 was what I call my “nightmare year.” I had no control of my thoughts. I was plagued with torturous thoughts every moment of every day. My own brain seemed to turn on itself. My hands were covered in bloody cracks from washing, washing, washing. I would do somersaults in the pool until I was dizzy. For some reason, I had to do 60 somersaults—no more, no less. Then, intrusive images of my mom dying flooded my mind. I remember sitting in class and getting hit with images of her being carried away in an ambulance; she was bloody and still. I remember panicking and doing rituals to try to “stop” the thought from coming true. I honestly believed that my mom’s life was dependent on my behaviors. If I got an intrusive thought, I had to do a certain ritual to “cancel it out.” I didn’t know why, but it felt necessary. It felt like my mom’s life was in my hands. During that same year, I became terrified of my own saliva. I refused to swallow my spit, and would hold it in my mouth all day. I walked around school with my cheeks full of spit. It looked like I had just filled my mouth with liquid that I hadn’t yet swallowed, except I stayed like that all day. I couldn’t talk (because the spit would drip out). Sometimes, I would find a drinking fountain to spit in to. Eventually, when my mouth got too full, I started spitting into my clothes. I walked around with a saliva-soaked jacket. I didn’t believe I had a choice in the matter—I honestly thought that my saliva was contaminated. Food was also “contaminated.” I used to spit out mouthfuls of chewed food in front of my friends. I didn’t have the energy to care what my peers thought of me. At 11 years old, I dropped down to 68 pounds. I looked so sick. I also worried that everyone in the world would disappear except for me. I got the intrusive thought that everyone was a ghost, and I was the only real person alive. I worried about the number 8. The number 8 meant that I would become pregnant, so I was forbidden to “land” on the number 8 during rituals. I also developed a massive fear of becoming possessed. This was all during my sixth grade year. I wasn’t learning anything. My teacher said I would just stare at the ceiling all day (she didn’t know that I was really counting the holes in the acoustic ceiling tiles). No one knew how to help me. My teachers didn’t know what to do with me. They didn’t understand what was going on. I had no idea that I needed help. I didn’t know that my mind worked differently than everyone else’s. I had experienced intrusive thoughts since age four—they were my “normal.” All I knew was that I had scary thoughts all the time, and I felt the need to do certain behaviors to keep those thoughts from coming true. Thankfully, my parents knew something was really wrong, and my mom started researching treatment for OCD. 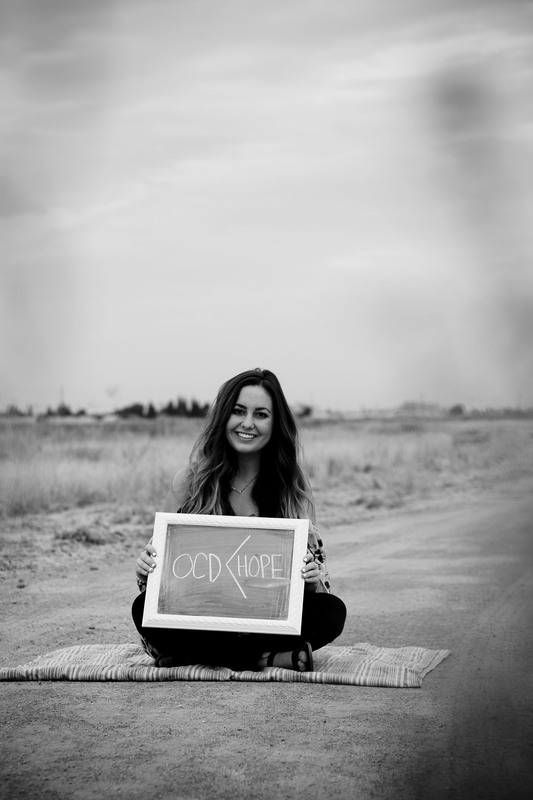 She found the OCD treatment center at UCLA. They had a long waiting list, so she agreed to put me in a research study at UCLA. I was diagnosed with OCD and was finally connected with an OCD specialist who treated my symptoms with exposure with response prevention (ERP). You’ve written some clear, informative posts about OCD. One of my favorites is How to Help a Student with Obsessive-Compulsive Disorder, because it’s so important that all authority figures in a child’s life are well versed in the disorder. Do you have advice for parents on how to properly communicate their child’s needs to educators? I think the biggest piece that is so often missing is education about OCD. As we know, OCD is highly stigmatized and portrayed as a funny, quirky disorder where things have to be neat, clean, and orderly. With this being the mindset of so many, it’s not surprising that the severity of OCD oftentimes goes unnoticed. Unfortunately, there are so many children in school who are suffering and aren’t receiving the proper support. This being said, I think the best place for parents to start is by providing the educators with resources that will teach them about what OCD is and what OCD isn’t. I suggest that parents set up a meeting with their child’s teachers/principal. Explain what OCD is, explain the specific ways that it affects your child (i.e., is your child afraid of germs? How does their OCD specifically manifest itself at school? ), and be very clear about what the school can do to best help your child best. If the educators simply know that your child has OCD, but they don’t know how or what they can do to help, not much is going to be accomplished, even when there are good intentions for change. I suggest creating an “OCD cheat sheet/resource” page that consists of a few links to websites that provide solid education about OCD. I would specifically recommend providing the link to the Child Mind Institute’s article titled “Teacher’s Guide to OCD in the Classroom,” as it does a great job at clearly explaining common obsessions and behaviors seen in children with OCD, as well as giving practical advice regarding how to best help students with OCD in the classroom setting. Remember: you are your child’s biggest advocate. Educating your child’s teachers is key. We can’t expect change to happen when there is an absence of understanding in regards to OCD. Imagine a person says, “I know I’m not supposed to offer reassurance to [my child, my friend, my student with OCD], but it’s so hard.” How would you respond? First, I would try to normalize the desire to provide reassurance. As caring human beings, it’s absolutely normal to want to make our loved ones feel better. The tricky thing about providing reassurance is that it actually does provide temporary relief. When we see a loved one struggling, whether it is a child, friend, or student, and we know that we could say something to make them feel better, it’s absolutely normal to want to give that reassurance. However, that’s where education about how OCD works comes in. In the long run, reassurance only serves to fuel the OCD cycle. Knowing and truly understanding this makes all the difference. It’s so normal for family and friends to feel helpless because they see their loved ones struggling with these intrusive thoughts and they don’t know how to fix it. Especially for parents, I can only imagine how strong the desire must be to take this struggle away from your child. But, as counterintuitive as it seems, withholding reassurance is actually what will make us better in the long run. I am by no means suggesting that it’s a good idea to stop providing reassurance to someone with OCD cold turkey, because it’s not. It’s so important for family members to be as involved in the treatment process as possible. Together, with the help and guidance of an OCD specialist, a plan that the entire family agrees upon and is on board with can be developed. It’s important for everyone involved to be on the same page and agree upon a plan together. Don’t leave the person with OCD in the dark. As someone who personally struggles with OCD, I can honestly tell you how thankful I am for the people in my life who resist giving me the reassurance I beg for, because they are ultimately the ones who are helping me in my journey toward recovery. To have family and friends who remind me that it’s OK to be uncomfortable and it’s ok to rush toward things that scare me is powerful. What do you consider the biggest misconception about OCD? Ah, there are so many! The biggest misconception that I’ve noticed is the myth that OCD is all about being clean and orderly. While OCD can take this form, there are so many other themes that don’t get nearly as much attention. Personally, I struggle with the more taboo topics, which are the sexual, violent, and blasphemous thoughts. These taboo themes are just as common as contamination OCD, but they are simply not talked about as much because it is so scary to speak up about these topics. That’s why it’s so important for our society to stop stigmatizing OCD. Just because someone likes their desk a certain way or enjoys organizing and being clean does not mean they have OCD. In fact, if they enjoy it, that’s a pretty good indication that it’s not OCD. Real OCD is not quirky or cute, and it’s definitely not enjoyable. It’s a very serious, debilitating disorder that is absolutely torturous. Last month, during OCD Awareness Week, you hosted an educational event at your school. What was the feedback like? Did you get the feeling attendees learned something new about OCD? Ah, that night was a dream and the feedback was incredibly humbling. I think the statement that I heard the most was “Wow, I learned so much.” Because the media so often trivializes OCD, the main focus of our event was to highlight the themes of OCD that oftentimes go unrecognized and to communicate just how debilitating this disorder actually is. You don’t often hear people talk about the fear of turning gay, the fear of being possessed, or the fear of killing yourself. I think the content of the discussion was what really grabbed people’s attention. Chrissie, Kerry, April and I wanted to specifically talk about the stuff that many individuals with OCD are struggling with, but are afraid to speak up about. We also really emphasized the importance of treating OCD with ERP, which is something of which many people in the audience were unaware. The audience consisted of many people in the mental health field, and I think that talking about how important it is to treat OCD with ERP was a huge breakthrough for the audience. They got to learn that OCD really does require a specific treatment. Just because someone is a licensed therapist does not mean that they’re the best person to treat your OCD. Overall, our goals were: (1) to raise awareness about OCD for the general public and for people in the mental health field, (2) to reach anyone who might be suffering in silence with OCD and to encourage them to get connected to the proper treatment, and (3) to remind everyone that there is hope and there is help available for OCD, and that it is absolutely possible to live a fully functioning life with OCD. I think we accomplished all of those goals. It was so humbling to have the opportunity to be a part of an experience that advocated for mental health awareness. To know that my story and my suffering is not in vain—that it can be used as a means of helping other people feel less alone—was an absolute honor and privilege that left me feeling humbled and thankful. I can’t wait for future events! Not only do you have OCD, you’re currently in school so you can one day treat OCD! How did you decide to make this your focus? So, my symptoms started at age four. I struggled with these awful thoughts for seven years before my parents could finally find a therapist who treated OCD. They couldn’t find an OCD specialist within an hour and a half of our town. It was ridiculous! To this day, 13 years later, it is still so challenging to find effective treatment for OCD in my town. So, I decided that something needed to change, and I had the potential to be a small part of that change. Once I received my diagnosis and I started understanding more about OCD, I realized that it was my passion to help other people who were similarly struggling. I have always been a great listener and a people-lover, so being a therapist seemed like the best job in the world. I made up my mind to be a therapist years ago, and it has always felt so right. I get excited every time I remember that this is what I get to do for a living. It wasn’t until recently that I realized the depth of misunderstanding that surrounds OCD. There is such a lack of knowledge about OCD, even among licensed professionals, and it honestly terrifies me to my core. I realized that I wanted to specialize specifically in OCD and anxiety-related disorders. I’ve personally had a horrible experience with a therapist (who was not using ERP to treat my OCD—red flag #1), who actually suggested that one of my intrusive thoughts might be real. It wrecked me. It made me realize how much damage a therapist can do when they try to treat a disorder they don’t really understand, especially in regards to the sexual, violent, and blasphemous themes of OCD. I want to be that safe place for people who are struggling, and I want to be able to help spread awareness about OCD to other professionals in the mental health field. It takes an average of 9 years for an individual to be diagnosed with OCD. That’s a ridiculous amount of time to go undiagnosed with such a tormenting disorder. To be able to be a mental health professional who can advocate for treating and diagnosing OCD properly would be so fulfilling. I’m going to have the best job in the world. What advice do you have for someone who doesn’t live near a qualified therapist, or who can’t afford treatment? That’s a great question! Unfortunately, therapists who are qualified to treat OCD can be hard to find. I would absolutely suggest Skype therapy. Nowadays, there are multiple therapists who are willing to provide treatment across state and country lines. I personally live in California, and my therapist lives in New York. I Skype her once a week from the comfort of my bedroom, and it’s just as effective. I don’t have to travel, I pay the same amount, and I’m getting the correct treatment for my OCD. Check out this great resource for ERP via Skype. If you need help finding a qualified therapist in your area in general, I would recommend contacting Chrissie Hodges for referrals and resources. Not being able to afford effective treatment is a whole other struggle, and it’s a pretty common one, at that! What I would first suggest is to view your OCD for what it is—a medical disorder that deserves treatment. Getting treatment for your OCD is just as important as treating cancer or diabetes. When finances are tight, I think that a lot of people put their mental health on the back burner. It’s really easy to feel guilty about spending money on therapy when you’re barely able to pay your bills that month. But, I would challenge you to try to think about your mental health in a different light. OCD is a medical condition that is just as serious as any other physical illness, and it should be treated as such. It shouldn’t be something that is pushed to the back burner. Your mental health has the potential to affect every other aspect of your life—your relationships, your friendships, your life as a spouse or a parent, etc. When your mental health suffers, everything else can, too. If you had a thyroid disorder, would you make paying for the medication that you need to regulate your hormones your last priority? No. Because your thyroid is a medical issue that deserves the proper treatment. Your brain is no different. That being said, I also understand that there are many individuals for whom therapy isn’t an option (for a variety of reasons). If this is the case, there are so many great self-help books out there for OCD—I’ve linked a few! Getting Over OCD: A 10-Step Workbook for Taking Back Your Life by Jonathan S. Abramowitz, Ph.D.
Freedom From Obsessive-Compulsive Disorder: A Personalized Recovery Program for Living with Uncertainty by Jonathan Grayson, Ph.D.
What to Do When Your Child Has Obsessive-Compulsive Disorder: Strategies and Solutions by Aureen Pinto Wagner, Ph.D.
Up and Down the Worry Hill: A Children’s Book About Obsessive-Compulsive Disorder and Its Treatment by Aureen Pinto Wagner, Ph. D.
Find a few other people who have OCD to support you along your journey. OCD can feel so isolating and lonely, so it’s important to make sure you have support. Whether it is through peer support, an OCD support group in your city, or an online support group, it’s so valuable to have a few people in your life who simply get you and get how your mind works. It’s especially helpful to find people who struggle with your same OCD theme. You can have the most supportive family and friends in the world, and they can be so intentional about educating themselves about OCD (and that’s wonderful if you have that support), but there’s just something about having those few close friends who also have OCD. There is so much power and freedom in not having to explain how your mind works. Get connected to those people who, when you’re struggling, can look at you and simply say, “Me, too. I get it. I’ve been there. You are not alone. There is hope.” Having that support makes all the difference in the world.